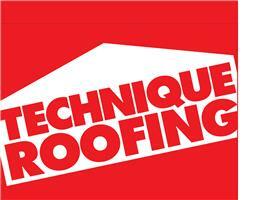 Technique Roofing and Maintenance - Roofer based in Eastbourne, East Sussex. We pride ourselves in offering a prompt, efficient service and are always conscious of our customers needs. We are also pleased to offer 24 hour call out and we offer free estimates to any commercial, domestic & insurance work. Please feel free to contact us to discuss your individual needs and requirements, we are always happy to help. Call us today on 07772 641854, alternatively you can email us on [email protected] or request a call-back.